Open Studio. 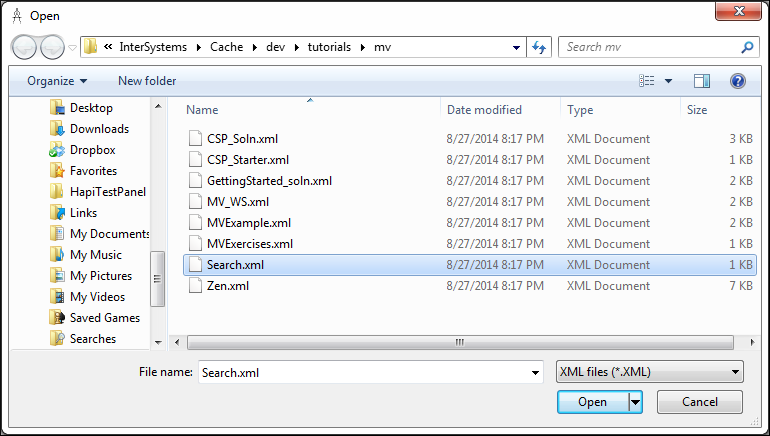 Click File>Change Namespace to change to the namespace in which you want to install the file. For this tutorial, use the MyAccount namespace. On the menu bar click Tools>Import Local. 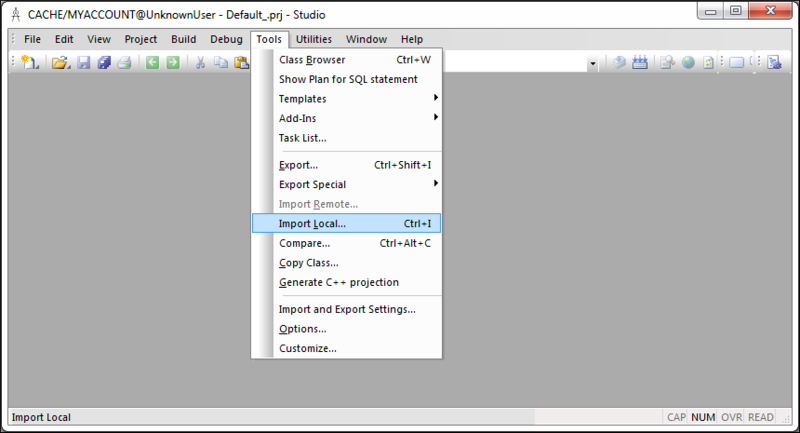 On the Import dialog, select the files to install. 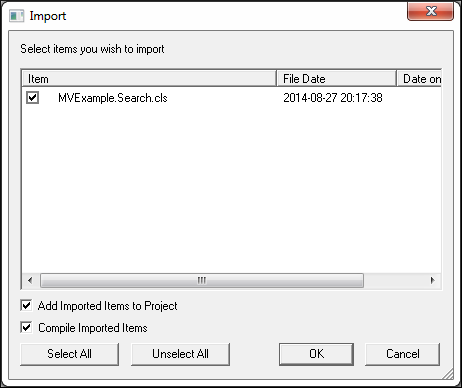 Select Compile Imported Items and then click OK.